After seeing the recommendation of this book by Falak, I decided to get this book for Medha. And I got this from library first to see whether Medha likes it or not as this book is recommended for 5+ ages. This book is magical journey with a delightful witch who loses lots of her accessories as she flies. I must thank her for recommending this beautiful book to me and Medha. 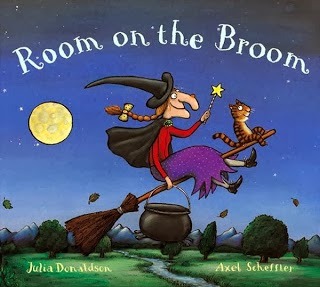 The story is about a kind hearted witch and her pet cat, they love flying on their broomstick. The witch keeps on dropping her hat, her bow and her wand while flying on the broom when the wind picks up. These are retrieved by different animals and all the animals want in return is a lift on the witch's broomstick. 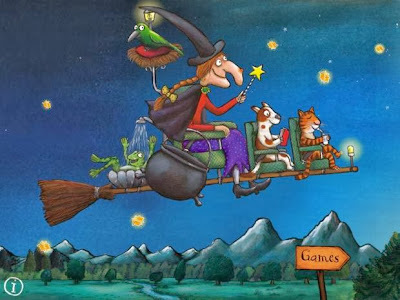 The witch allows all of them to fly with her, till the broomstick snaps into two suddenly. Following an encounter with a dastardly red dragon, the witch faces dreadful danger, will her new found friends be able to help the kind hearted witch? The story is exciting, with rhythmic verses and lots of fun. The kids will fall in love with the kind hearted witch. Repetition of verses, a lot of drama and a little suspense makes it a complete winner and a must read. 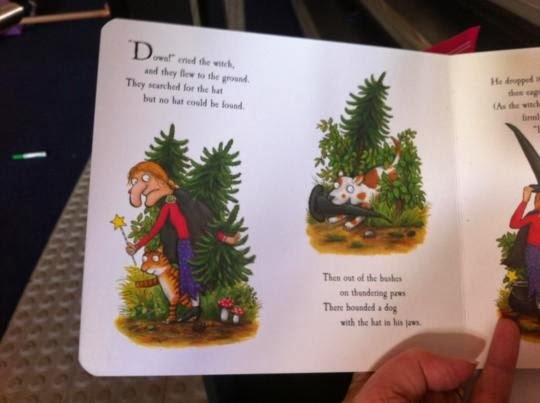 I love the book as much as my daughter does; I also love the underlying message on sharing, friendship & trust. Words like Witch, Broom etc. Medha loves Room on the Broom (or 'witch and the hat' or 'Iggety Ziggety Zaggaty') as she likes to call it. 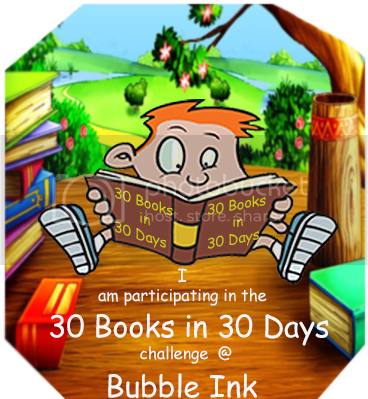 A lovely book that encourages participative reading, this book is a must read for beginning readers. And this book definitely would be favorite for any age group of kids.